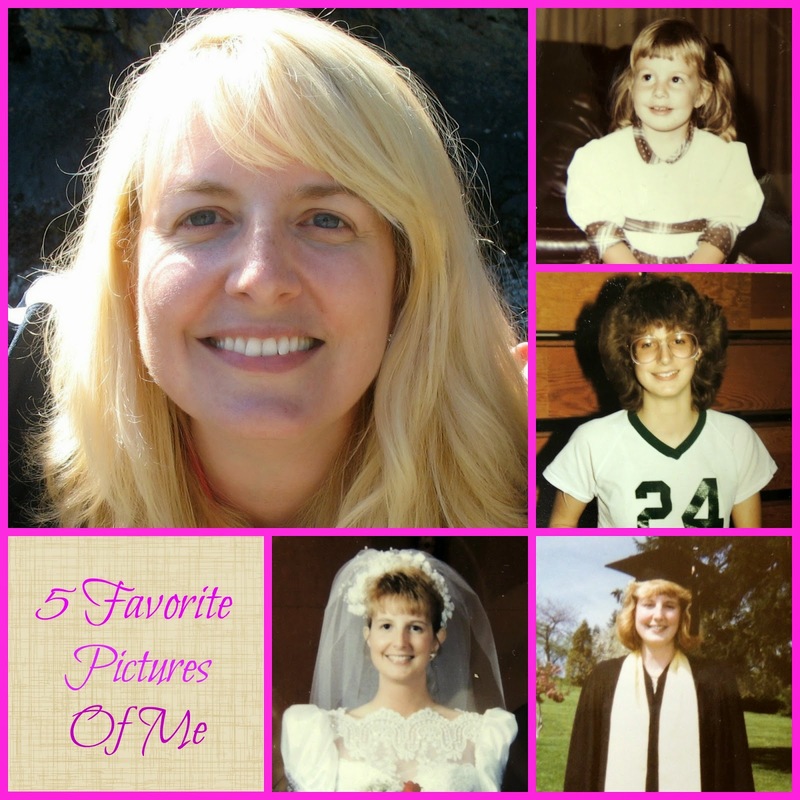 It's Friday with my Lifestyle Sistas, and today we're sharing 5 favorite pictures of ourselves. Ahem...thanks Deena! I may have mentioned that I'm not very good at putting myself in pictures, and most of the photos from my childhood are at my mom's house in Arizona. My selection was a bit limited, so I decided to choose five pictures that represent different times in my life. --The picture in the top right corner was taken when I was three. We lived in California at the time, and we were at my Grandma Nelda's for Sunday dinner. I loved going to her house every week - she had a swimming pool, a huge backyard, and an organ in the living room. Some of my fondest memories of my childhood are from there, and I was very sad when we moved to North Carolina and only got to visit once a year. --Next we have a lovely shot from the teen years. Could I look any more 80's? This was my ninth grade basketball picture. I love basketball, and played until just a few years ago, when my knees couldn't take it anymore! This was also the year I met my husband to be. He must have been a fan of huge glasses and big hair. --Below that is a picture on the day I graduated from Washington State University. I remember being so happy and proud, and ready to take on the fashion world. --Wedding day 1990 - another very happy day. I was the opposite of a bridezilla. Working in fashion was extremely stressful and all encompassing, and I had very little time to plan my wedding. I had no idea what the flowers or cake were going to look like until the day of - and I didn't care. I was just so excited to finally be marrying my hubby, after eight years of dating. --And finally, here I am recently, wrinkles and all. Middle age has hit with a vengeance, but I love my life. I am completely different than I thought I'd be at this time, but that's the fun in living, right? You never know where you're going to end up. 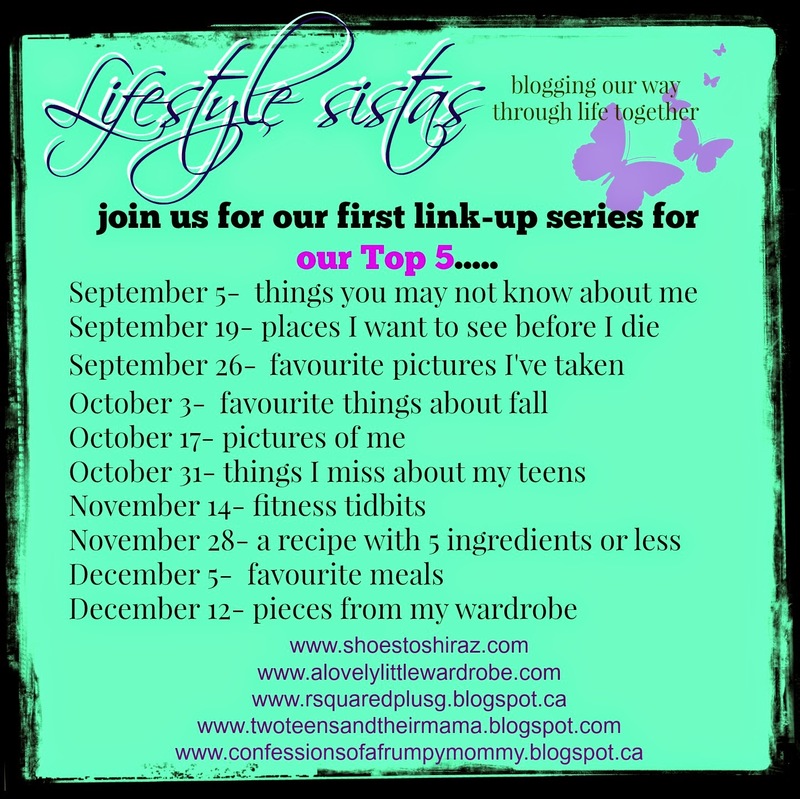 I hope you'll link up below, or join us in two weeks for the Five Things I Miss About My Teen Years. In my case, Scott Baio will be involved! Thank you! I'm going to tell my husband that we need to move back to California - stat! I had a hard time with this one too but I LOVE all your pics!! The most recent being my fav :) that three year old you is super cute! I love my messy pigtails in that one! You are beautiful then and now! I have to say that I love the picture with the glasses. They are so huge. And I have to admit I am a sucker for wedding photos and love seeing you as a bride. This one was fun! This was fun, once I finished cursing Deena :)! I still can't believe those huge glasses were popular - but I must have been able to see really well with them! How fun seeing your photos and your stories about them. I had to smile at the one of you in the 80's. BTW...thanks for turning me onto the Goldbergs! We started watching and have laughed and laughed. I love it. Yay - so glad you're watching the Goldberg's and enjoying it. Even my teenagers think it's funny! It will take a lot more than this to get rid of me :)! Those are great pics! It's interesting to look back at the different stages of our life and reflect on how we've changed - inside and out. And the ways we haven't changed too. If I can remember, I might link up to one the memes - they look fun. Thank you! I hope you'll link up with us! So fun to see these photos of the different stages in your life! I think I had those same glasses in the 80's but mine were purple! Ooh, purple! The 80's were not kind to fashion. oh I love these! And your story that goes along with it. The big 80's hair, love it! I hope 80's hair never comes back :)! Lana, you have obviously been adorable your whole life! These are so cute! Thank you Diane - that's such a nice compliment! I love these pictures, representative of all different stages of your life. You're beautiful, I think being happy shows in pictures. Middle age hit with a vengeance? No way, lady. You have beautiful skin, something I have always noticed about you but not commented on until now. Glad to see pics from your past and learn just a little more of your life. Lovely post, friend! Thanks Carrie. The good skin is partly genetics (my mom's 70 year old skin is amazing), and lots of sunscreen! Your skin looks fabulous----you have hardly aged. Life has been good to you, my friend! Thank you Marcia - you are very kind (and you haven't seen me in person :)! Wonderful photos Lana! How fun to see your life stages in photos - and you are beautiful in every one. Thanks Susan! I totally understand ;) - but I would have loved to see your pictures! Cute pictures - beautiful stories!!! Thank you for sharing your life moments!!!! Ok..you have conquered you fear of including yourself in pictures! 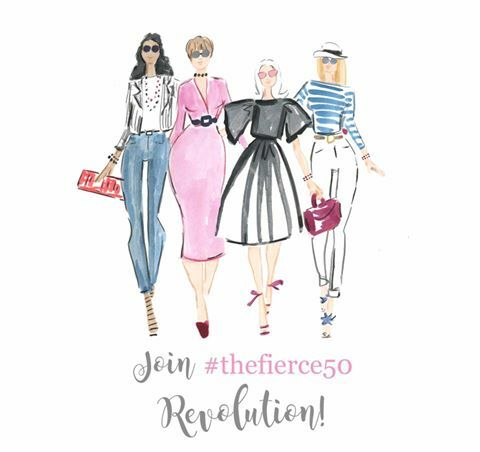 Now accept your outward beauty and STOP the self depricating blogging! Like your mom and your sister, YOU have great genes that are tainted through annoying self deprication. Beautiful pics!! I keep looking at all the pics on all the blogs...I may have to link up! Eeeekkkk finding 5 pics might be tough!! HA! I'm SO glad you joined up with us today! I loved all your pictures :)! Such cool photos - I like the range of years there. Three-year-old you is very cute, and a bi-coastal move can be sad! I did it twice, but never with kids or as a kid. Thanks! Moving was hard, but I was pretty young. Coming back to Washington in 6th grade was harder, I think. Happy SITS Day! 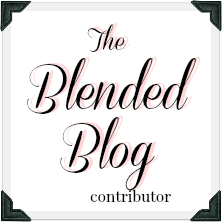 I meandered through your blog because I have 4 kids -- 21, 17, 15, and 10. Yup, I'm going through the teen boy thing too! I LOVE your bravery putting up your childhood photos. Brings back incredible memories of the '80s & '90s. Thank you for sharing and putting a smile on my face this rainy Monday morning. Awww....thanks! I'm always happy if I can make somebody smile. Thanks so much for stopping by! Great pictures Lana! I was also a basketball player in school and loved it. I was never the cheerleader type. I love the wedding picture and of course the today picture! Looks like you and I had the same home perms in the 80's!